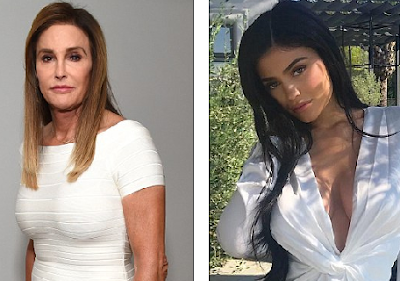 Caitlyn Jenner has confirmed her youngest daughter, Kylie Jenner, is pregnant. The former athlete, 67, was the first member of the family to formally confirm the Keeping Up With The Kardashians star is expecting her first child. While it's believed the make-up entrepreneur is expecting a baby girl with her boyfriend of five months, rapper Travis Scott, 25, she is yet to publicly comment on the news. On Monday Ryan Seacrest, who is a producer on the family's E! reality show, reached out to momager Kris Jenner on air when he was co-hosting Live With Kelly And Ryan from New York City to ask about the beauty's condition. He didn't get a no. It was during the opening of the morning talk show when Ryan reached for his cell phone and texted the mother of Kylie.